The C. Bechstein B 212 grand piano is a grand piano for the professional, connoisseur and ambitious player who wants the best of the best. This model was developed by the C. Bechstein research and development department, with exactly the same re-designed successful features possessed by concert grand pianos C 234 and D 282. The touch of the C. Bechstein B 212 grand piano is overwhelmingly accurate, professional and effortless. Its sound range is unparalleled. This salon grand piano is placed in universities and private salons. To own it is evidence of great musical taste and culture. Whether you do you pianistic “workout” on the C. Bechstein B 212 grand piano or play for pure pleasure – you will always be rewarded by the highest musical quality. The C. Bechstein B 212 grand piano is a salon grand piano with the finest sound and wonderful touch. 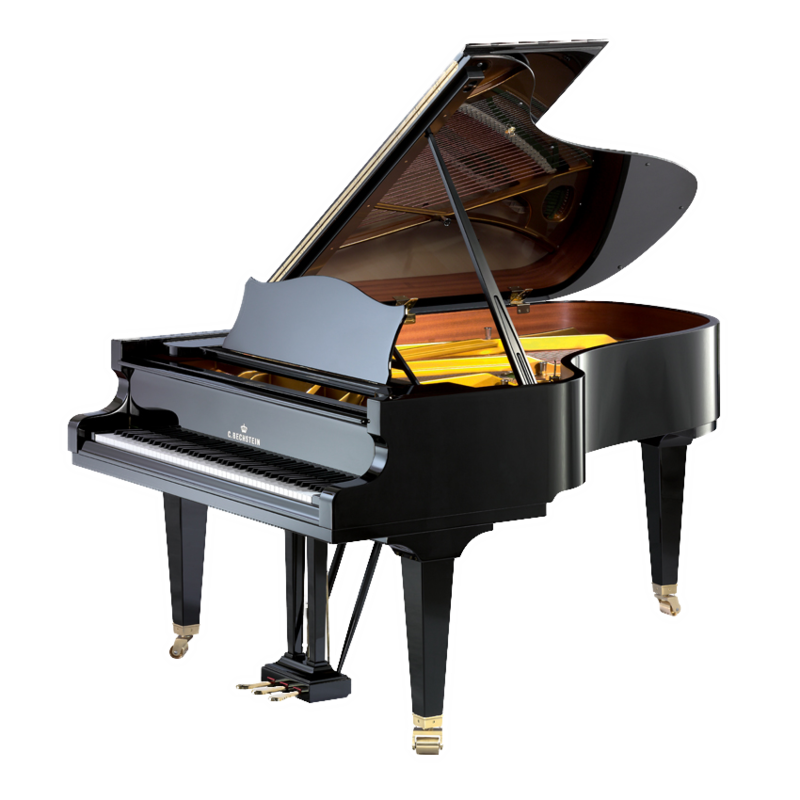 A masterpiece that you choose individually, a character grand piano for which you are envied. The secrets of production: C.Bechstein has a wealth of experience in the top grand piano making: In production, highest mastery is applied to energy conserving for the the sound to unfold and develop beautifully as well as to optimal tension in the right place. The gluing in of the sounding board is done after the outer rim has been glued around the inner rim – this increases the soundboard elasticity. The soundboards of the C. Bechstein masterpiece grand piano series are vibrating tone membranes that lets every sound become a lasting experience. The sound opens like a blossom. The redesign of the cast iron plate optimizes the sound duration and the energy. Seven to nine quality wood layers for the pin block allow an even finer torque quality. The German C. Bechstein concert grand piano factory also manufactures the C. Bechstein B 212 grand piano with the highest quality in every detail. If you want to practice at any time day or night without disturbing neighbours and roommates, we can also install the Vario System in the C. Bechstein B 212 grand piano.